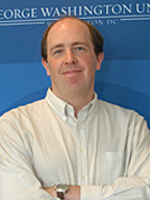 Henry E. Hale is Professor of Political Science and International Affairs, Co-Director of the Program on New Approaches to Research and Security in Eurasia (PONARS Eurasia), and (through August 2019) Vice-President of the American Political Science Association’s Organized Section on Qualitative and Multi-Method Research. His work has won two prizes from the American Political Science Association, has been funded by the National Science Foundation, and has appeared in numerous peer-reviewed journals, including the American Political Science Review. He has spent extensive time conducting field research in post-Soviet Eurasia, and his most recent single-author book is Patronal Politics: Eurasian Regime Dynamics in Comparative Perspective (Cambridge University Press, 2015). Dr. Hale's writings focus on issues of political regimes, ethnicity, and international integration. His new book, Patronal Politics: Eurasian Regime Dynamics in Comparative Perspective (Cambridge University Press), is scheduled to come out in September or October 2014. He is also the author of the books The Foundations of Ethnic Politics: Separatism of States and Nations in Eurasia and the World (Cambridge University Press, 2008) and Why Not Parties in Russia? Democracy, Federalism and the State (Cambridge University Press, 2006), winner of the American Political Science Association's Leon D. Epstein Outstanding Book Award for 2006 and 2007. He is also co-editor of the books Developments in Russian Politics 8 (Duke University Press, 2014) and Rossiia "dvukhtysiachnykh": stereoskopicheskii vzgliad (Russia in the 2000s: A Stereoscopic View) (Moscow: Planeta, 2011). His articles have appeared in a variety of journals, with his piece "Divided We Stand" (World Politics, 2004) winning the APSA's Qualitative Methods Section's Alexander George Award.